He's Coming! 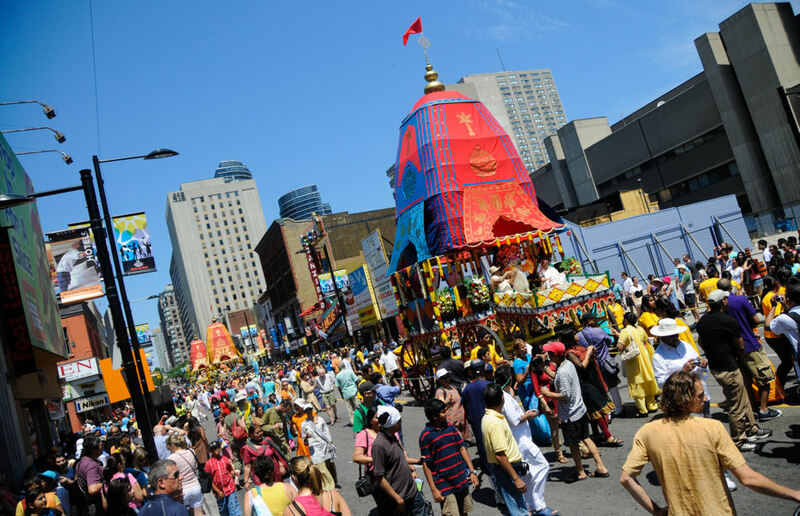 Ratha-Yatra: Festival of India - July 15-17, 2016 ~ The Toronto Hare Krishna Temple! We would like to humbly invite everyone to join us this year, on July 16th-17th, 2016 for our 44th Annual Ratha-Yatra here in Toronto. Festivities will kick off on Friday, July 15th as we celebrate a 12-Hour Kirtan, featuring B.B. Govinda Swami, Agnideva das, Amala Kirtan das and more! We will be blowing the roof off New Remuna Dhama (ISKCON Toronto) with this 12-hour kirtan marathon. Once again, the special event is planned for Friday, July 15th from 10:00am to 10:00pm. This kirtan event is not to be missed! Immediately following the parade, festival-goers enjoy a kirtan-filled ferry ride over to Centre Island, where celebrations continue for the rest of the weekend. While on Centre Island devotees will be able to enjoy the association of a number of distinguished personalities (see below)! The Centre Island festival-pavilion will also host a children’s area featuring fun and wholesome, Vedic-themed activities and events. All in all, Toronto's Ratha-Yatra will offer everyone a chance to experience a unique festival promoting simple-living and high-thinking, with kirtan on the streets, underground, and on the water! Yes! It will be like the spiritual world in Toronto! I want to attend the rath-yatra this Sunday...please share the starting point of yatra. Thank you!!! Thank you. It was really great event. We enjoyed the Mahaprasad !! It was indeed a special festival! We're so glad you enjoyed it! Hare Krsna.